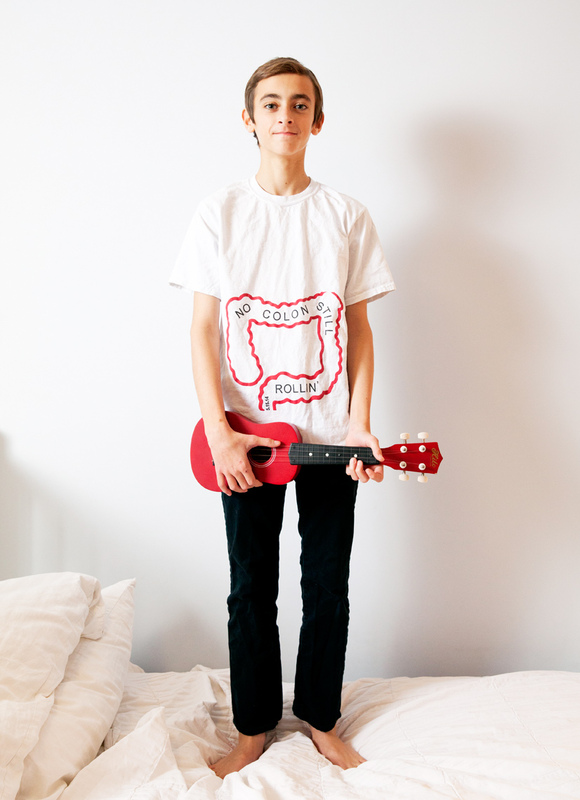 Luc Hyman, a teenager with ulcerative colitis who had his colon removed when he was twelve. Luc performs at open mic nights at comedy clubs around NYC, and also works to raise awareness of his disease through the Crohn's and Colitis Foundation of America. Photographed for Scholastic.